The kitchen is fully equipped with washing machine, dishwasher, beater, squeezer, toaster, microwave, oven, fridge, hob, etc. The dining-living room which is next to the kitchen has tv, firewood heater and table games. It has exit to the terrace, equipped with barbecue and garden furniture where also there is the firewood for the heater. The two bedrooms are double and attic. The bathroom is fully equipped, it has hairdryer. It is the most important village of the valley of Erro, it is located next to where the Fight of Roncesvalles took place, where from there are folk testimony as giant footprint tread Roldan, of nearly three meters. 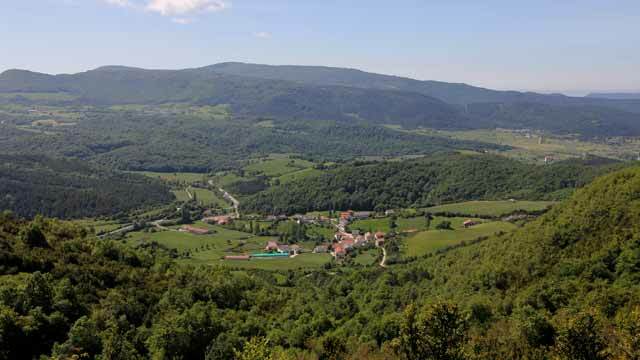 A valley which crosses the “Camino de Santiago” and which shows beautiful landscapes with meadows in where the cattle graze, beech, pine, chestnut, ash and fern, where races of Odia, Itolegi and Ezpelondo run. From Lintzoain you can get to the natural place of Sorogain which is the traditional grass area of the valley of Erro, it borders with Alduides (France). The Valley of Erro has also medieval bridges, mills and palaces. In Lintzoain, the parish of Saint Saturnino is from Romanesque origin with modifications of the XVI centuries with big mannerist altarpiece from the first half of the XVII century.